What is a facial serum? It’s a gel based moisturizer that you put on before your cream. In terms of anti-aging products, this is a life saver. With all the advances in the skin care world, even drug store brands are starting to up their game. 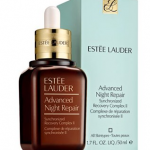 There are expensive ones, if you want to indulge, a bottle of Estee Lauder’s serum will set you back at least $60. But there are inexpensive ones as well. I find Olay regenerating serum quite good, and it’s only $15! And you can find that in almost any drugstore. 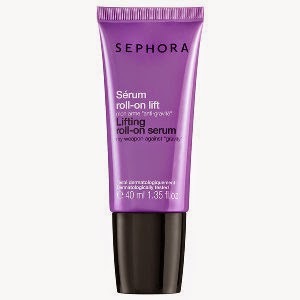 There are 2 from the Sephora Collection that I like, that are affordable. 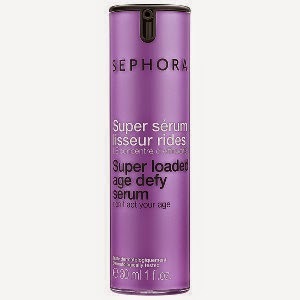 One is their Roll on Lifting Serum, $15, and the other is called the Super loaded age defy, $30 (the above photo). Both are good, and travel friendly. 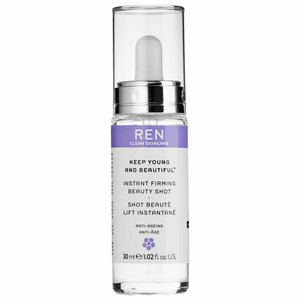 Splurge: Ren Keep Young & Beautiful Instant Firming Beauty shot: I only have a sample of this product & it was AMAZING. You only need to put 2 drops on your face, & you can actually feel your face tightening as it dries. People magazine claims that this was the closest thing to botox in a bottle. It is a bit pricey at $54 a bottle (1.2 oz) but keep in mind every time you’re only using 1 or 2 drops. This is amazing, amazing stuff. If it were more affordable I would give it to all my girl friends. Save: For a more inexpensive alternative, you can also try this product that’s also new on the market, sold exclusively at the Body Shop. They recently started a line of products called Nutriganics, appealing specifically to anti-aging products. Creams, masks, but most importantly a great serum. 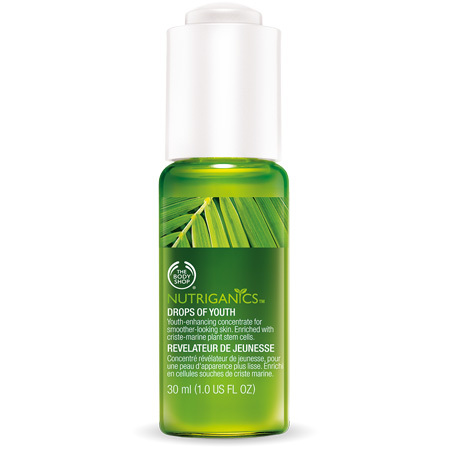 They have Nutriganic Drops of Youth Concentrate, which has gotten 5 out of 5 stars on their website, and a best seller. At $37, it’s not too expensive. If you are on a tighter budget, go for the Olay regenerist serum I mentioned earlier, or the Roll on Serum by Sephora. For affordable facial creams, the best place to hit I think is Target. 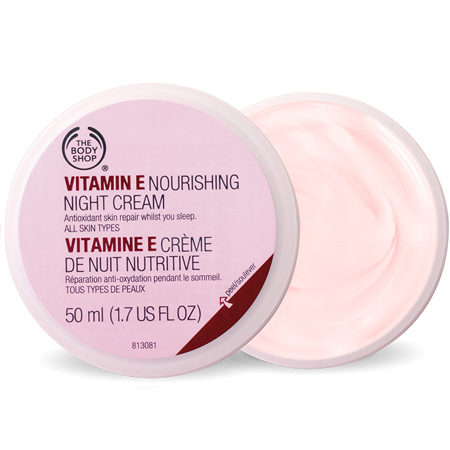 Target carries a line of skincare products from the UK called ‘Boots’, and they have everything from cleansers, creams, shower gels, body butters, etc. And their face creams start at $15! 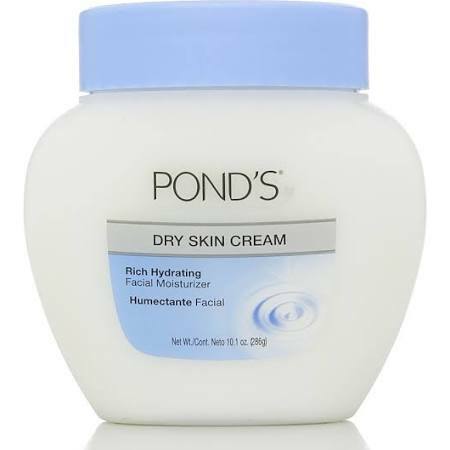 Also Ponds makes a great one that only costs about $7! It’s so inexpensive and it’s amazing!! 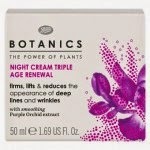 I LOVE the night cream that’s featured above: Night cream Triple Age Renewal, my face feels like a baby’s bottom in the morning. 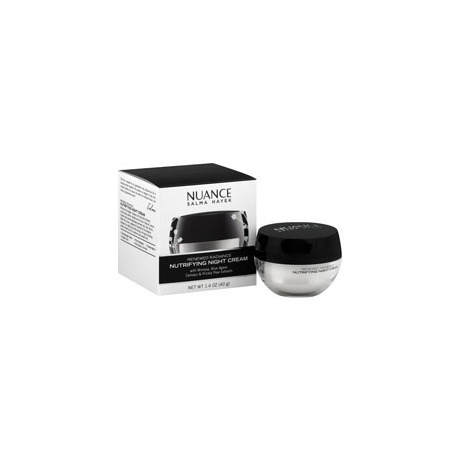 Also what’s been popular at CVS as well as Amazon.com: Nuance by Salma Hayek. She claims that she uses the same ingredients her grandmother used in her facial creams. And at $20, it’s a great steal! !